Established in 2008 by D.Prescott, S.Prescott, M.Bean and D.Grantley, Yorkshire Timber Engineering has seen significant growth in the years following. Its rapid progression has enabled the business to become one of Yorkshire’s leading providers of roof trusses, engineered floor joists and timber frame solutions. Based in Beverley, East Yorkshire, Yorkshire Timber Engineering specialises in the design and manufacture of timber frame buildings, trussed rafters, holiday lodges and engineered floor beams. Services include consultations, design concepts, the provision of materials, on-site deliveries and much more. 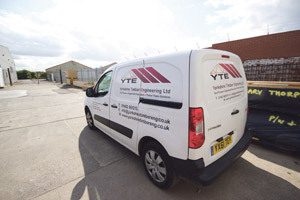 Widely classed as a specialist in the build world, Yorkshire Timber Engineering is a fully focused organisation specialising in the supply of precision engineered timber solutions. Almost a decade of industry experience has enabled the brand to become a leading provider of first rate roof trusses, engineered floor joists and, of course, timber frames. To date, the company are proud to say that they have built over a staggering 2,000 houses, with many more yet to come. Developing effective, long-term partnerships with developers, contractors and architects (as well as clients), Yorkshire Timber Engineering offer a fully comprehensive service which is largely customer-orientated. It prides itself on going above and beyond client expectations by focusing on high quality construction, efficient build times and greater cost controls. There are many advantages to using timber-frame over traditional brick and block construction, including it being far more robust and cost-effective compared to traditional methods. Better yet, it can be used for a wide variety of buildings, whether it’s large multi-storey apartment blocks, traditional houses or extensions, all of which have increased logistical efficiencies and are of a higher premium quality. In addition, Yorkshire Timber Engineering can conduct full site surveys and site measures. Not only that, but the innovative Timber Frame system can be erected in almost all weather conditions. Their renowned Eco-joist floor beams are a natural progression from timber frame walls & trussed rafters. The lightweight beam can fluidly span in excess of 6 metres, whilst the stringent quality control ensures that highly accurate manufacturing and minimum site wastage. They also eliminate the need for load bearing intermediate walls, leading to significant time and cost savings. Economical roofs of prefabricated lightweight trussed rafters can be designed for all applications, from the build of small extensions to large commercial schemes. 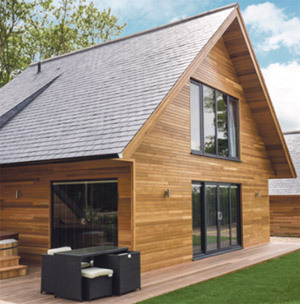 In the construction and build industry, Yorkshire Timber Engineering’s internal wall panels, joists and roof solutions have also been highly regarded thanks to their stellar thermal and sound proofing capabilities. 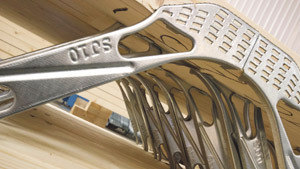 The Eco-joist Metal Web Joist is highly sought after among clients, affording easy passage of service ducting, wiring, plumbing and much more. No matter the project commissioned, Yorkshire Timber Engineering can guarantee exceptional results, as packages can be tailored to suit individual needs in order to provide a complete ‘in-house’ solution. This continued commitment to customer service has enabled the company to secure an enviable position at the forefront of the industry, building valuable and long-standing partnerships with all of its esteemed clients. Regardless of the solution you choose, you will be sure to find the perfect product with Yorkshire Timber Engineering. The team combine design creativity and strategic layouts with sophisticated scheduling software to ensure all of the relevant information, materials schedules and engineering calculations are collated. Consult a company representative today to find out more about the opportunities available to you with this highly commended brand. This entry was posted in Featured Building Update and tagged Construction, Floor Joists, Roofing, Timber Engineering, Timber Frames. Bookmark the permalink.